Patna: RJD chief Lalu Prasad on Saturday said his party will organise a rally against demonetisation in the Bihar capital after the Uttar Pradesh assembly polls. He also said that he would rope in like-minded political leaders for the proposed rally. “We will hold a massive rally against the November 8 demonetisation after the Uttar Pradesh elections,” the former Bihar Chief Minister told the media here. The President of Rashtriya Janata Dal — while is in power in Bihar along with Janata Dal-United and the Congress — denied reports that the RJD will not organise the rally against the note ban in view of the pro-demonetisation stand of ally JD-U led by Chief Minister Nitish Kumar. “I will talk to Congress President Sonia Gandhi, its Vice-President Rahul Gandhi, Trinamool Congress chief Mamata Banerjee and other like-minded leaders to join the proposed rally,” Lalu said. He said his party proposed to hold the rally early this year but decided to postpone it due to seven-phase assembly polls in Uttar Pradesh, scheduled to be held between February 11 and March 8. Last December, RJD organised sit-ins at Patna and all district headquarters against demonetisation. 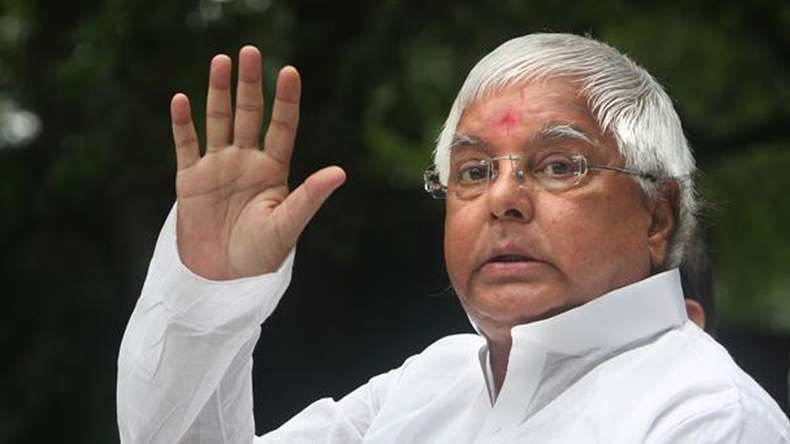 Lalu participated in the ‘maha dharna’ in Patna.